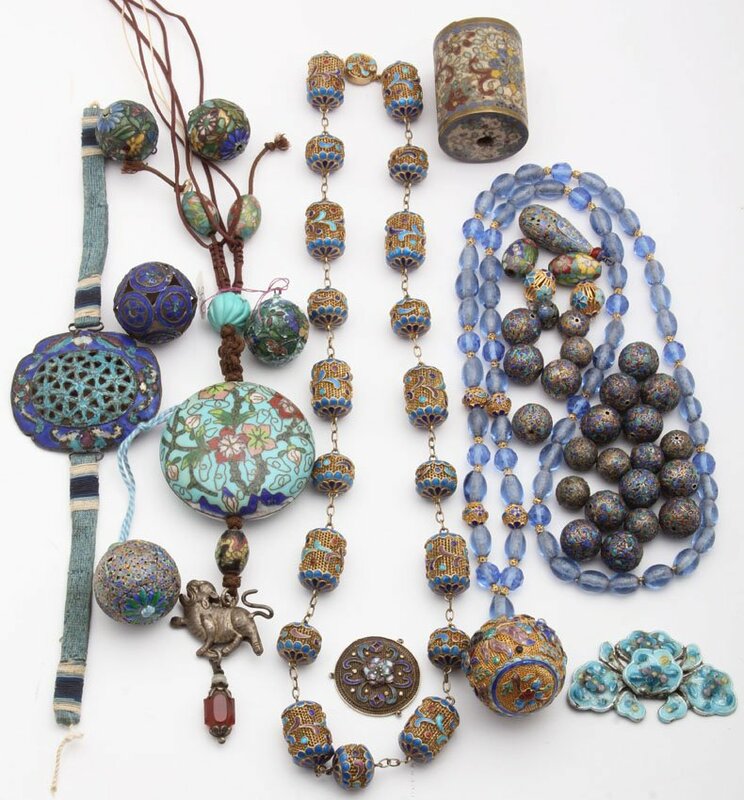 From the private collection of the owner of eBay store Beads With a Past, an exceptional necklace of early Chinese cloisonne beads. 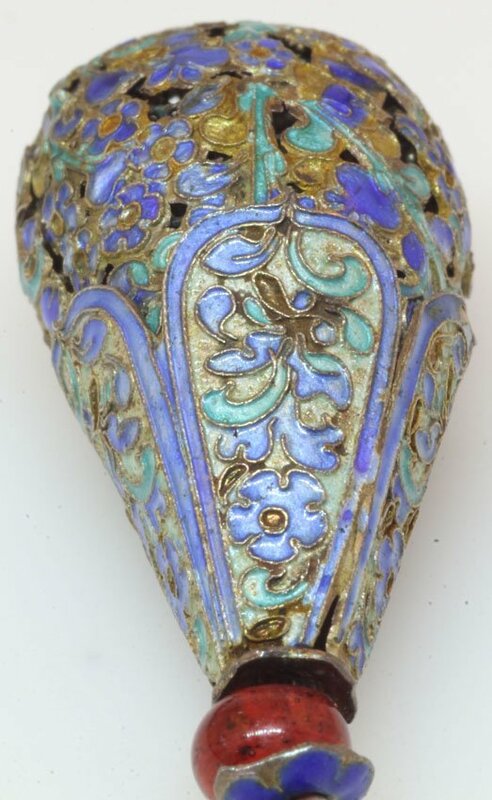 Although the cloison wires are flat, they share the technique used in twisted wire cloisonne, where the enamel is fired only once, leaving concave wells of glass in the cloisons. The level of inventiveness and detail in the designs is exceptional. I especially love the rat and bird beads! 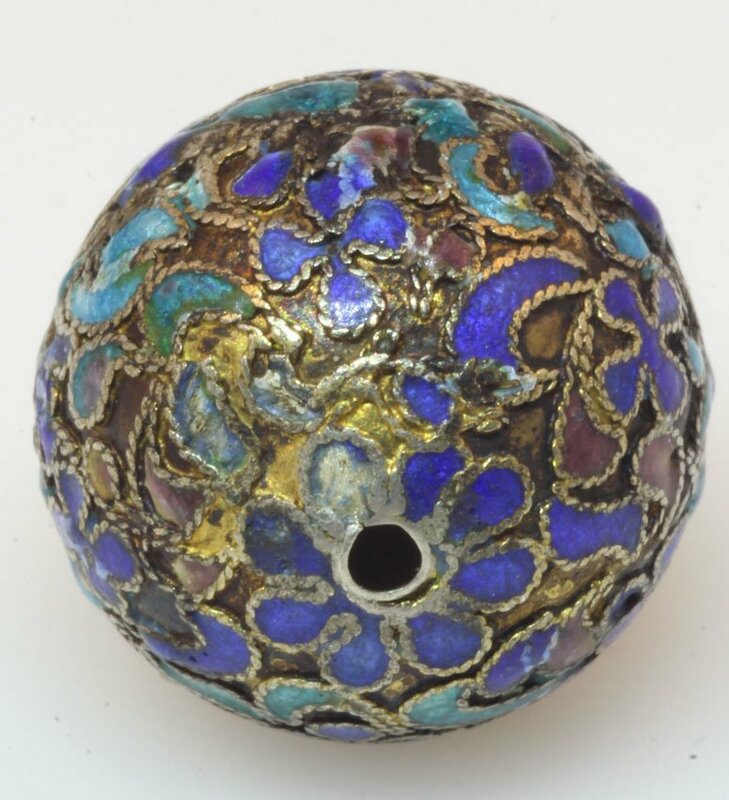 Did one of the old master craftsmen who used to make intricate cloisonne beads for Qing court necklaces apply his skills for the delight of a lady? Could this be a piece from Helen Burton's 1920-30s Camel Bell shop in the Peking Hotel? So mysterious. 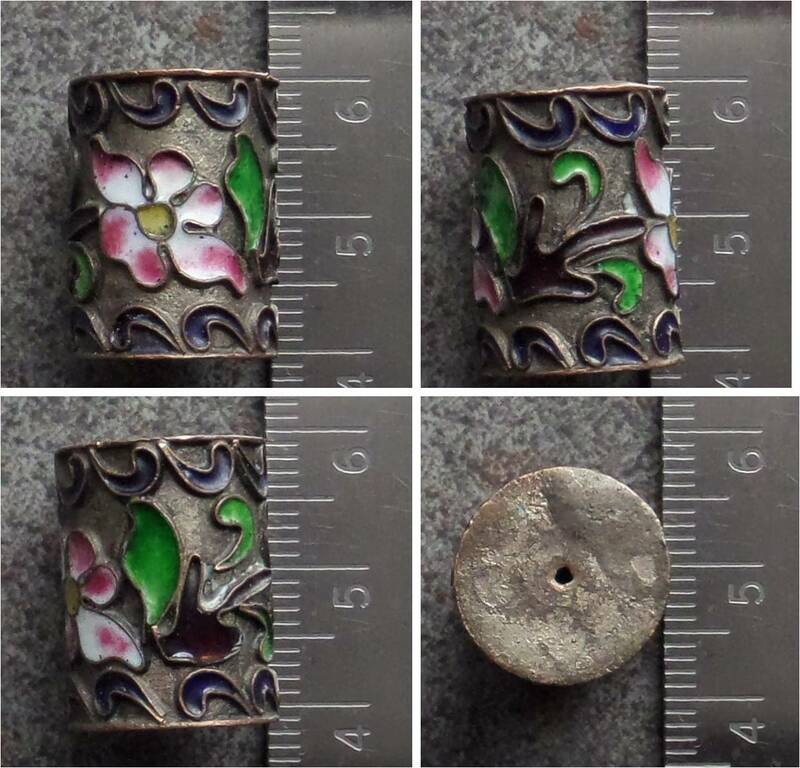 The center bead, which the vendor describes as featuring birds and flowers, seems to be Canton enamel. What appear to be flat cloison wires, in contrast to the twisted wires used in the bead pictured above. 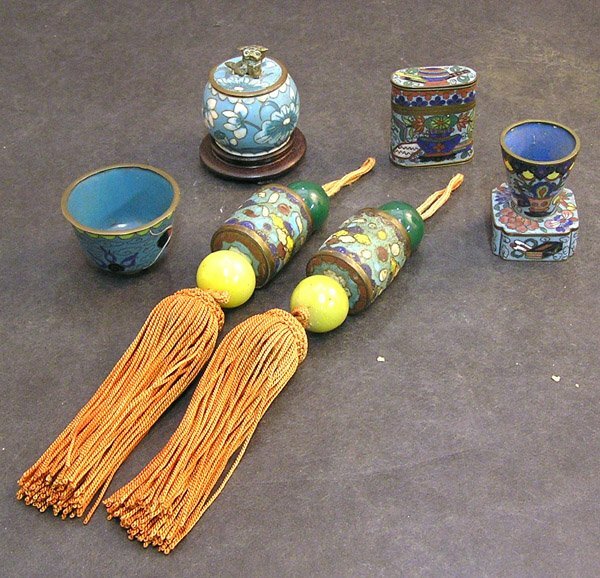 Cloisonne scroll weights with tassels.